Director and Teacher at New Arts, has been teaching since 1972. Diane taught special needs children in the Boston Public Schools before opening Preschool Learning Center in 1981. When the Preschool closed its doors 20 years later, Diane began teaching art classes after school, most recently in the Gallery in the Square. Diane opened New Arts, now at 61 Pond Street, in the winter of 2009. With a Masters degree in Art Therapy, Diane’s goal is to encourage each child to find the artist within. She teaches children in grades 1 to 7, often using the works of Van Gogh, Matisse, Monet and others to inspire the children to take artistic risks, painting from the heart, choosing colors and designs they love. Diane has worked with watercolor for many years, but recently has developed a love for pastels, which she uses to create both portraits and landscapes. has been teaching art to children of all ages for many years. Formerly the Art Teacher for the Norwood Public Schools, Elaine also taught art at the JCC and at Temple Sinai in Sharon. Elaine has been with New Arts, (formerly classes at Gallery in the Square) since it first opened in 2003. Elaine now teaches Pre-Kindergarten/Kindergarten classes, Middle School Creative Arts classes as well as Teen Studio Arts. Elaine provides the children with a wide array of materials and medium, presenting 2D and 3D projects where the children can create in their own style. 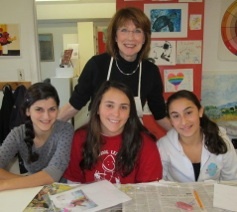 Elaine’s Studio Art classes provide Teens with an opportunity to work independently on a project of their choosing in a medium that they love. Acyrlic and watercolor painting are most popular. 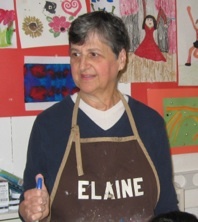 Elaine is an accomplished watercolor artist, and enjoys sharing her talents, skills and techniques with young artists. Carolyn first got the ceramics bug while working in her aunt’s Boston studio as a young teen. 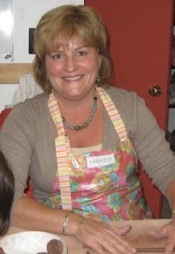 She began taking pottery lessons at Potters Place studio in Walpole in 1995, and has been an active member of the studio for more than 20 years. In addition to creating hand-built and wheel-thrown functional art that reflects her love for the seashore, Carolyn is as equally passionate about teaching her craft to youngsters. Studio classes, Try-It Workshops, and Birthday and Scout Badge parties have allowed her to share her passion for clay and the endless creative possibilities it allows. Carolyn is busy selling her wares throughout the year at area craft fairs and arts festivals, as well as through her web-site at www.EarthElementsPottery.com.